What Are The Best Coloring Tools For Adult Coloring? When adult coloring books first started coming out on the market, there was honestly some snickering going on in society. What prideful adult would possibly waste time sitting somewhere doodling like they were a child? Fortunately, some people were willing to try them, and in fact, many were wanting to do them. Coloring is one of the fondest memories many people have from their childhoods, and as adults get old enough to get nostalgic for their youth, adult coloring books give them the chance to go back in time. Once you think about it, the concept starts making a lot of sense. The benefits and appeal to children are the same as for adults. Coloring is a chance to make something beautiful and creative happen right in front of you, giving you a sense of accomplishment in making something pretty and beautiful. Like all good art, it’s a chance to enjoy a creative outlet in a relaxing break from being always plugged in and on the go. Pros of markers: If you are adult enough to suffer arthritis, carpal tunnel, or similar hand issues, then markers spare you a lot of the pressure needed to fill areas in completely. Markers also fill areas quickly, so coloring goes faster. Cons of markers: You can count on markers to bleed through your paper. You might need to put barriers between pages in your coloring book to prevent the next page from getting saturated and ruined. Double-sided pages are often a lost cause on the back sides. Pros of watercolor pencils: If you need to do things like blending, then watercolor pencils are great. You can add elements of realism to any colored picture using these. Cons of watercolor pencils: These have a serious learning curve. Apply too much, and you get your paper soggy with colors running together. On the other hand, not enough water just winds up looking like any other colored pencil. Your images need to be on thick paper to start with, since thin pages are going to buckle when they are wet. Pros of gel pens: If you need to handle fine details or want fun options like glitter or metallic finishes, then these are a great way to go. When you are not actually coloring, you can use them to bring flair to shopping lists, honey-do notes, and even office memos. Cons of gel pens: These kinds of pens often run out of their ink fast, so you’ll be going out and buying replacements pretty frequently. Some users note that gel pens don’t apply color equally under light pressure, even skipping spots. Pros of colored pencils: These coloring utensils are among the easiest things in the world to use. You can also sharpen them to a fine point that’s useful in detailing images. Should you get an urge to get really fancy, you can mix these with anything from mineral spirits and paint thinner to baby oil. Cons of colored pencils: You have to be mindful about not dropping these, since impact might break off their lead from the inside. You’ll also need a pencil extender if they get too short if you want to keep holding them comfortably. Also, if you have to layer colors, you might have to apply some pressure, which can wear down your hands over a long session of coloring. 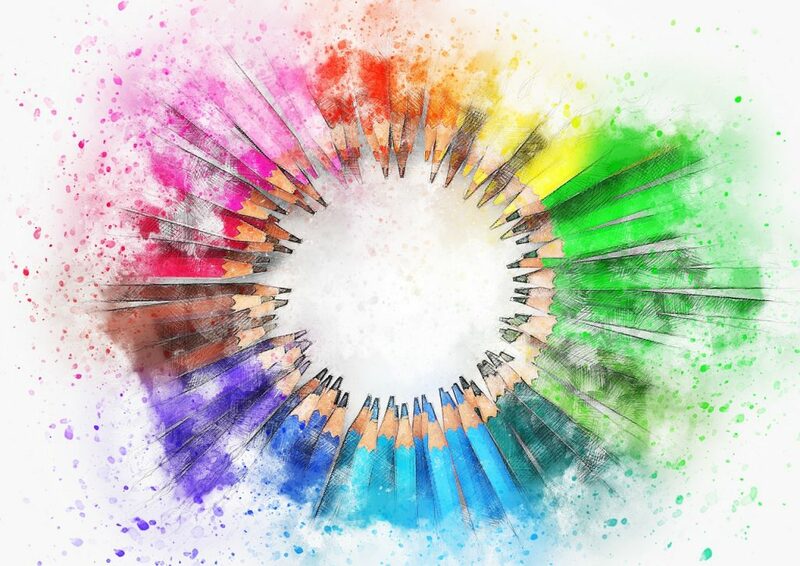 Now that you know the 4 best coloring tools for adult coloring, sift through the benefits and potential drawbacks of each one, comparing them to your own preferences and budget, in order to figure out which one well serve your relaxation best. Options exist in each category from economical to premium options. If you want to save money, head for the kids section of a big box retailer, but if you’re looking for something nice, head for a dedicated arts and crafts store.